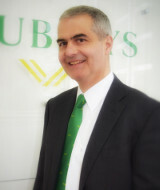 Jonathan Wood has worked for Clubleys since January 2001 as a Rural Practice Surveyor. Jonathan is a member of the Royal Institution of Chartered Surveyors, a Fellow of the Central Association of Agricultural Valuers and is also a Registered Valuer. Jonathan has worked in the industry for 20 years and has a wide range of knowledge and experience in providing advice in East Yorkshire and beyond.